A drug dealer from Hawick who sold ecstasy tablets to two 12-year-olds has been criticised by a sheriff. The schoolboys fell ill after taking the pills which contained compounds of the class A drug and were taken to hospital. Sheriff Donald Ferguson told Jake Moffett: “This was terribly dangerous and an utterly disgraceful thing to be involved in. It could easily have ended in tragedy. Moffett pleaded guilty at Jedburgh Sheriff Court to a charge of being concerned in the supply of ecstasy between August and October. 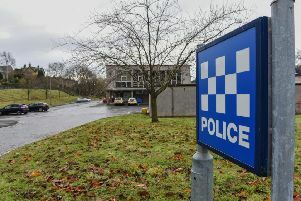 Procurator fiscal Graham Fraser said that Moffett sold one ecstasy tablet for £10 to one of the youngsters at a park in Galashiels, on October 11. He was found by his mother to be “physically shaking” in his home at 3am after taking the tablet, and was taken to Borders General Hospital and detained for observation. Another 12-year-old had to be taken to hospital after Moffett supplied him with a tablet. Police searched the 18-year-old’s home in Crumhaugh Road, Hawick, and found £220 in cash and 30 tablets, which were found to be ecstasy. Defence lawyer Ross Dow said: “This is a terribly concerning case. He stupidly agreed to look after the pills for someone else and when others found out about it they asked him for it. Sentencing was deferred for six weeks until a medical report could be obtained on Moffett’s ability to carry out unpaid work and sentence deferred for six weeks.